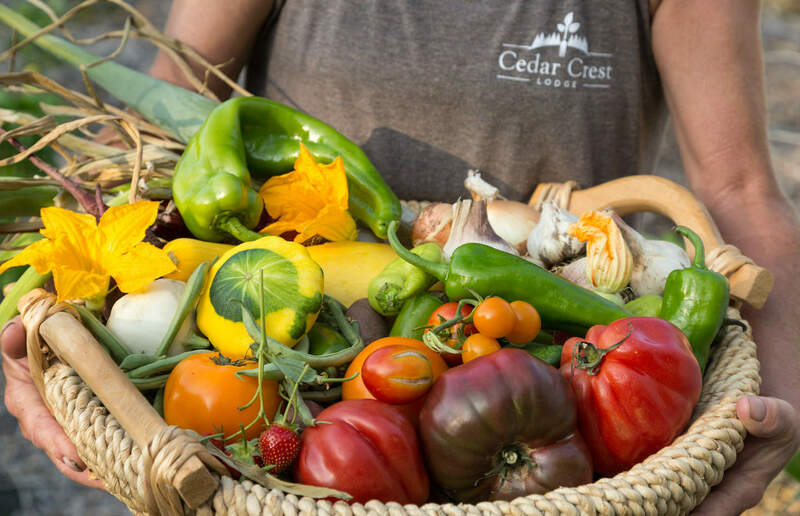 Meals at our Midwest bed and breakfast always start with the freshest ingredients possible. Our large on-site garden provides inspiration for our chef to create wonderful seasonal dishes. 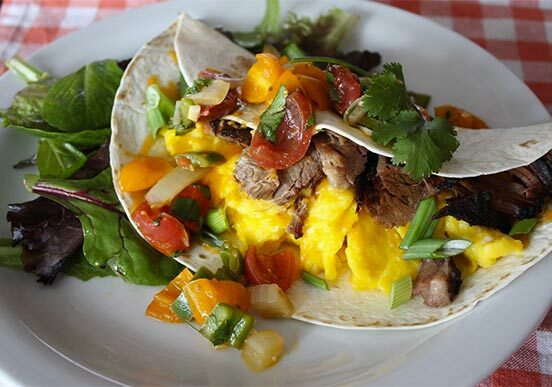 Other locally-sourced ingredients round out your dining experience. 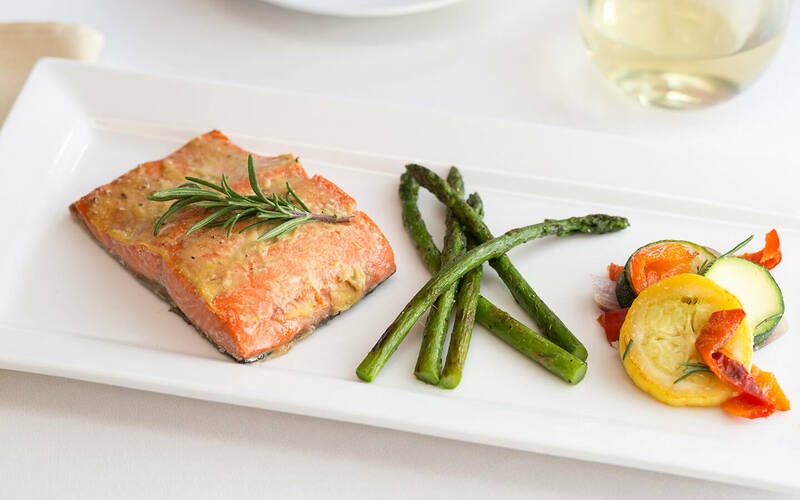 We make great efforts to work with a variety of dietary restrictions and allergies. Please let us know in advance if you require a specific diet. We can accommodate gluten free, dairy free, vegetarian, vegan or any other dietary restrictions. Please let us know at time of booking if you have specific needs. 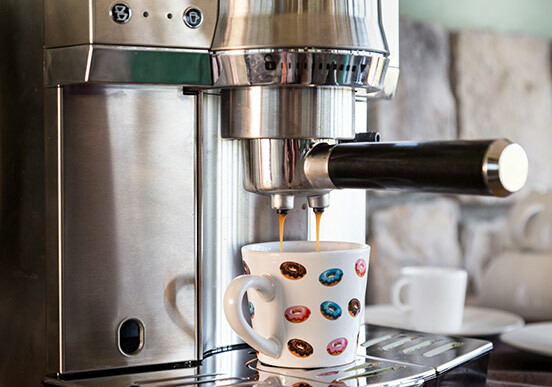 Add any food options to your stay when you book online. 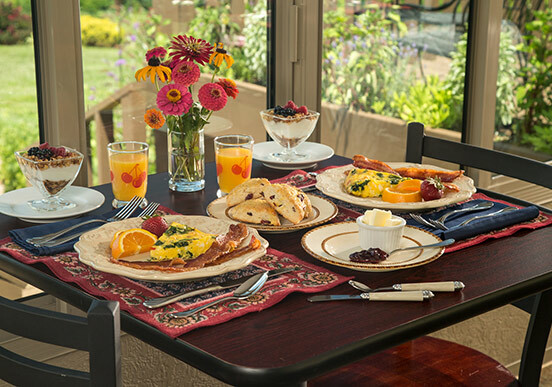 Breakfast at our Midwest B&B is included in every overnight stay and is comprised of a delicious 2-course meal which includes a variety of golden baked goods, fresh fruits, farm fresh eggs and select meats. Our award-winning Smoked Brisket Quesadilla with a Fresh Roasted Vegetable Salsa and our warm Pumpkin Pancakes are hands down favorites! 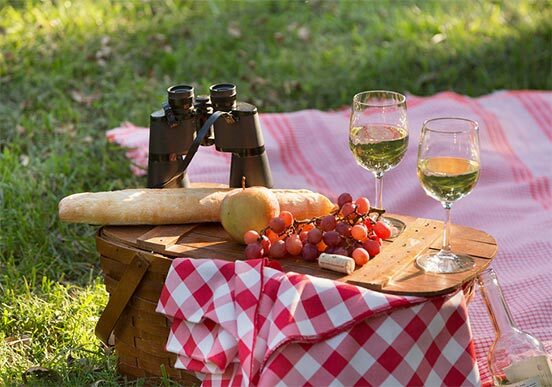 To complete your bed and breakfast experience with us, picnic lunches, gourmet dinners and delicious snacks are offered for your convenience with 72 hour advance notice. Find your perfect room at our Kansas City, MO area bed and breakfast and enjoy a relaxing stay with amazing food. We reserve the right to substitute based upon availability. 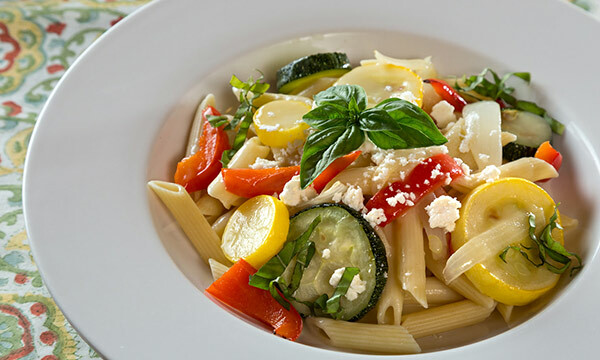 All dinners include a non-alcoholic drink, bread, salad, two side dishes, and dessert. You may bring your own beer or wine if you wish. View our menu below for our selection of entrees. We reserve the right to edit the menu with the seasonal items. 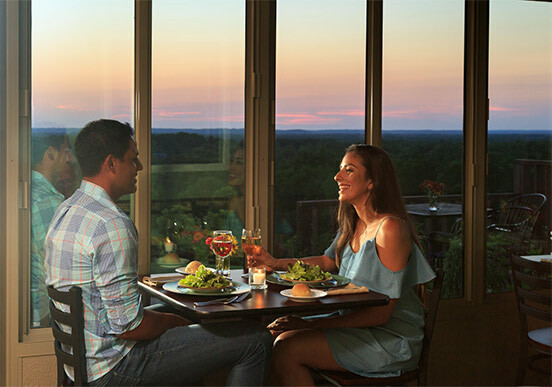 If you would like to have dinner served in your room there is an extra $15 charge. In addition to made from scratch dishes that use fresh vegetables and herbs from our own kitchen garden, meals can also be made-to-order. That means if you have celiac disease, lactose intolerance or you’re on a diabetic diet we will prepare meals to meet your criteria. So, regardless of your needs, your meal will not only be safe, but delectable. So that we can assure we have everything we need to make your stay wonderful, PLEASE let us know 72 hours in advance for all additional meals and services. Dinners are now open to the public every day of the week from 5:00 - 7:30 PM. 8-oz. 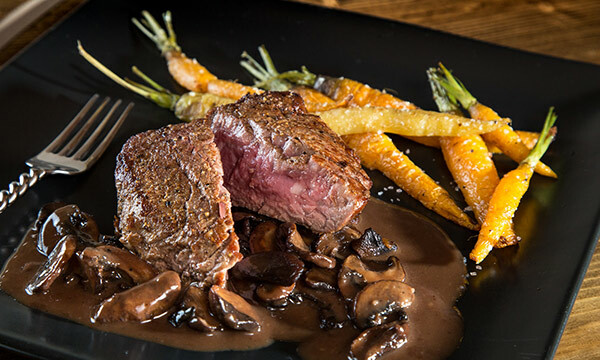 tender Angus Beef ﬁlets sautéed and topped with a rich Burgundy mushroom wine sauce. 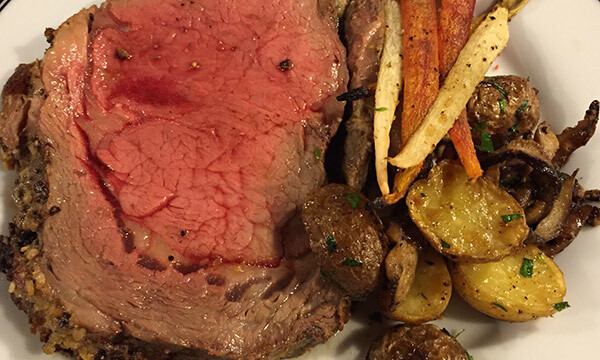 A generous portion (12-14oz) of our juicy, garlic crusted Prime Rib. One of our guest favorites! 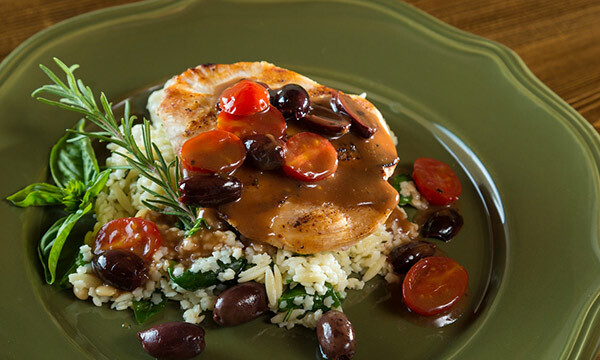 A deliciously seasoned, sauteed chicken breast served with a savory tomato-kalamata olive sauce and a sprinkling of feta cheese. Our version of Chicken Marsala. 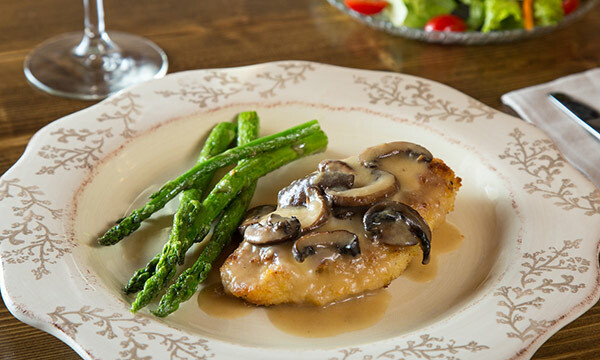 We start with a lightly breaded and sautéed chicken breast ﬁlet, then top it with smoked provolone cheese and a white wine mushroom sauce. 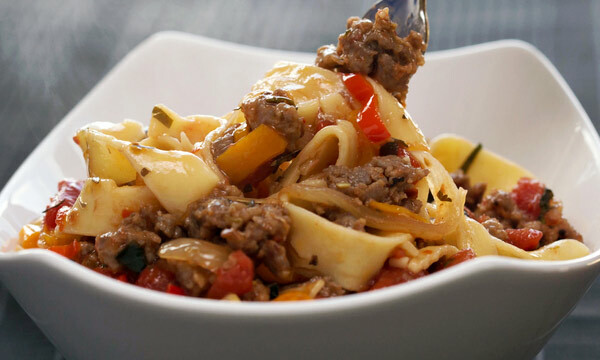 A rich pasta enhanced with the addition of red wine, tomatoes, peppers, onion and spicy Italian sausage. Topped with aged parmesan cheese. May substitute chicken for the Italian sausage with advance notice. 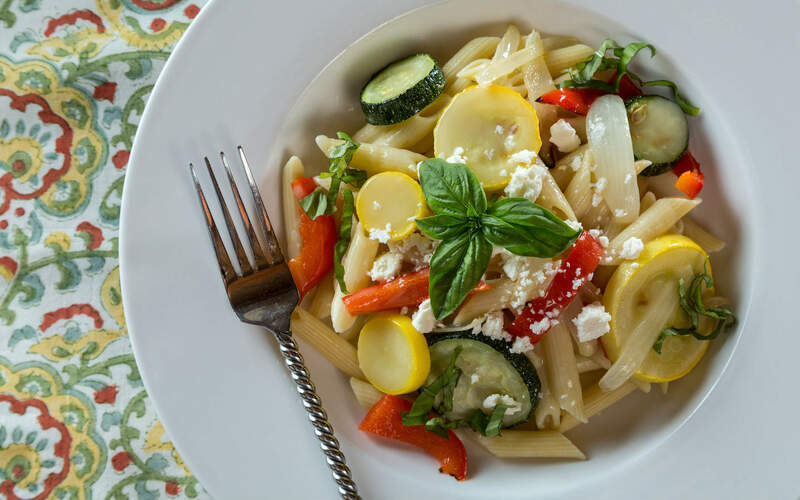 We will be happy to serve you our homemade Vegetable Lasagna, our Drunken Pasta without Italian Sausage, Pasta Primavera prepared with our garden-fresh seasonal vegetables or perhaps a bed of rice, quinoa, or couscous topped with garden-fresh roasted vegetables. Selection will depend on availability. 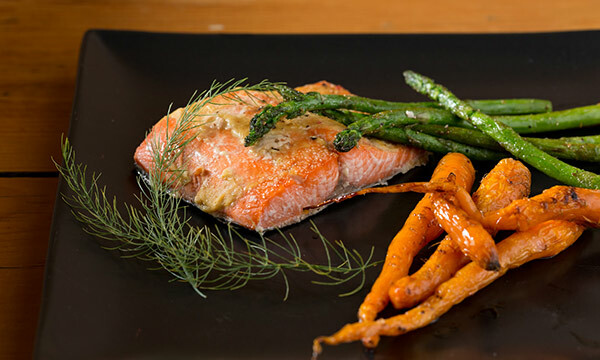 Our savory wild Alaskan Salmon deliciously prepared with a brown sugar/dijon mustard glaze. 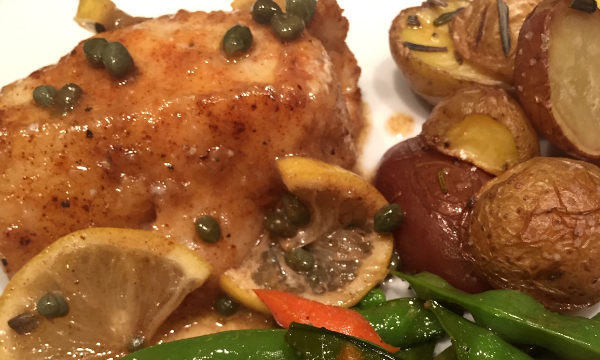 Wonderfully sweet and delicate Chilean Sea Bass is seared to perfection and served with a delicious Lemon-Caper Butter Sauce. 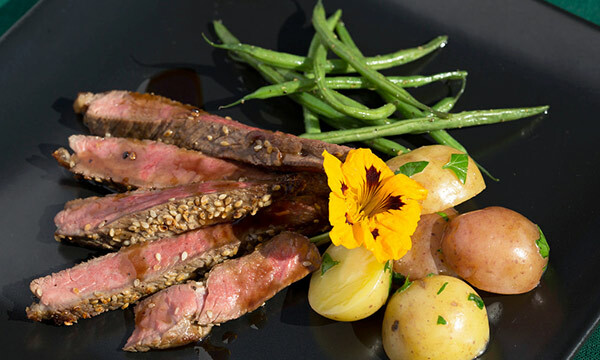 Tender sesame crusted, pan-seared steak slices served with a deeply ﬂavored balsamic-sherry glaze. 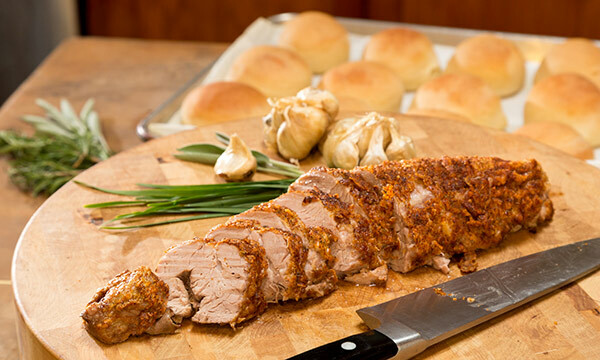 A generous serving of tenderloin; coated in a blackened rub, then roasted until just cooked through to retain the juiciness of the meat. Please note, this entree has a little spice. 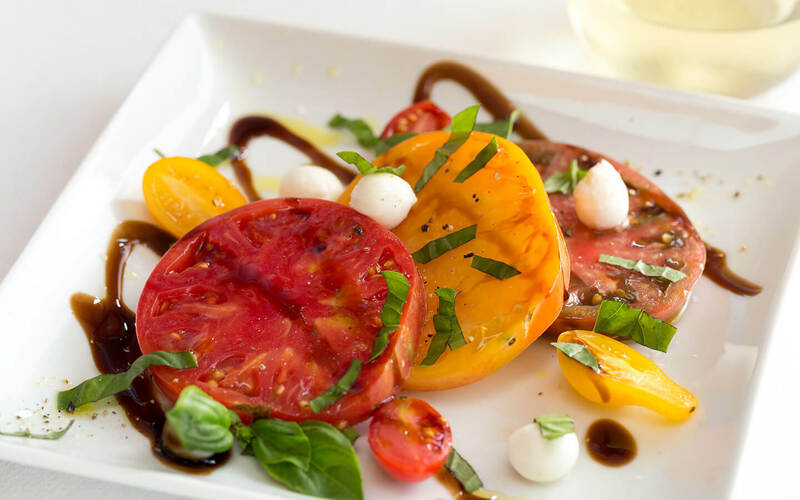 A truly delicious way to enjoy our garden-fresh bounty! 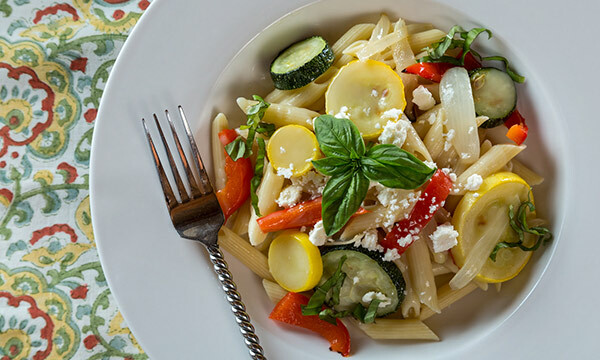 A light, yet ﬂavorful pasta dish with the added touch of feta and basil. 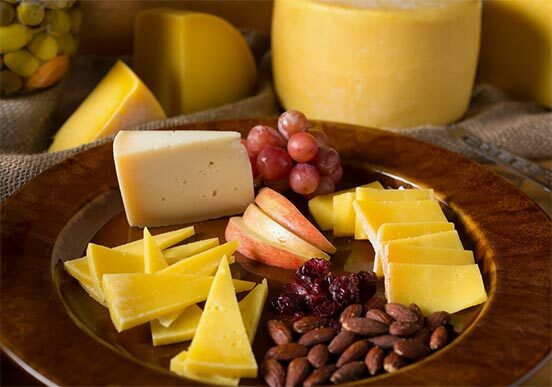 Enjoy a cheese appetizer with crackers, gourmet sandwiches, delightful fresh salad and, of course, something for your sweet tooth! Bottled water is included. You can bring your own wine or beer and we will supply the wine glasses, if needed. Whole Wheat Turkey Wrap - Turkey wrapped in a whole wheat tortilla with provolone cheese, crisp lettuce and a honey mustard dressing. 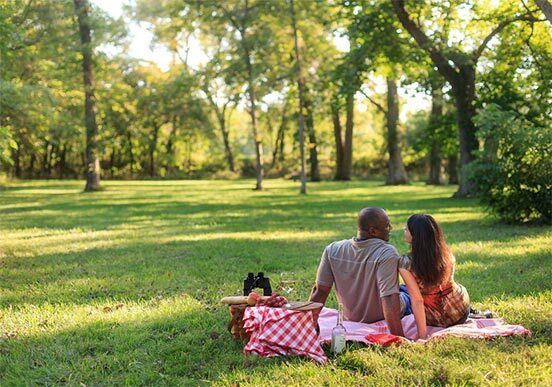 Your picnic will include a hummus and pita chip appetizer, fresh vegetable or grain salad with a light vinaigrette, and either fruit or a bite-sized sweet for dessert. 72 hours advanced notice required. We reserve the right to substitute based upon availability. A delicious light meal consisting of tasty deli meats and flavorful cheeses. Served with crackers and fresh fruit. A tasty treat! 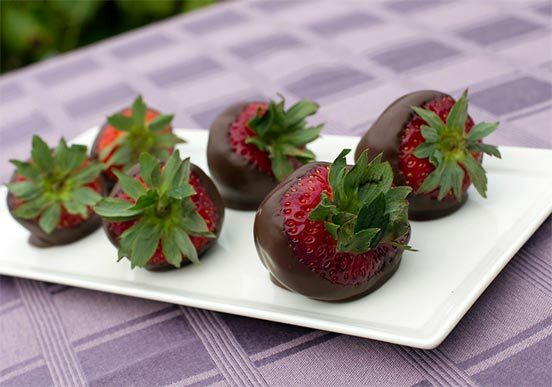 Juicy strawberries hand-dipped with a creamy chocolate coating. Please see our Specials Page for additional add-ons. Applicable tax and 20% gratuity will be added to all items above.